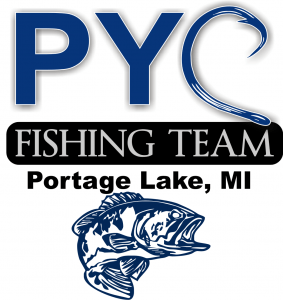 The Sport Fishing Fleet at Portage Yacht Club on Portage Lake invites you to join in the fishing fun on the Huron River Chain-of-Lakes. The Club has an ever growing presence of fisherman and women that call the Club and Portage Lake home. Whether you moor your boat at the Club, have a cottage or home on the chain, or splash your boat each time at the DNR ramp, we hope that you will visit with us on-line and of course on the lakes and river. Some hints, suggestions, (and possibly even secrets) for fishing on the Huron Chain can be found by clicking HERE. Fishing regulations from Michigan DNR can be found HERE. Over the years the Club has hosted a catch and release tournament and hope to host more in the future. If you know of a visiting tournament that will be navigating the chain of lakes, please forward that information so we can link to it. Regularly caught species on the chain include: Northern Pike, Large and Small Mouth Bass, Sunfish, Blue Gill, Crappie, Common Carp, Perch and Walleye. One of our fleet members recently designed a fleet logo, shown above, which has been incorporated onto a fleet tee-shirt. If you are interested in one of these shirts they are available for purchase at the Club Office. A practice that we encourage is the use of circle hooks such as that shown in our logo. These are kinder to the fish when caught and released. We also encourage the use of your second hand to support the belly of the fish when holding the fish in a horizontal position for photos (not just by the lower jaw). We hope that you join us for the great fishing on the Huron River Chain-of-Lakes.